A new governor, Ned Lamont, has officially taken over and the lawmakers are now meeting in their assigned committees to go over legislative proposals explained Reps. MacLachlan and Carney. Rep. MacLachlan will be sitting on the Transportation, Education, Environment committees. And, Rep. Carney will be sitting on the Transportation, Finance, Revenue, and Bonding committees and will help House Republican leadership screen proposals before they make their way to the House. In addition, the lawmakers discussed tolls, $15 minimum wage increase, paid family leave, and the legalization of marijuana. 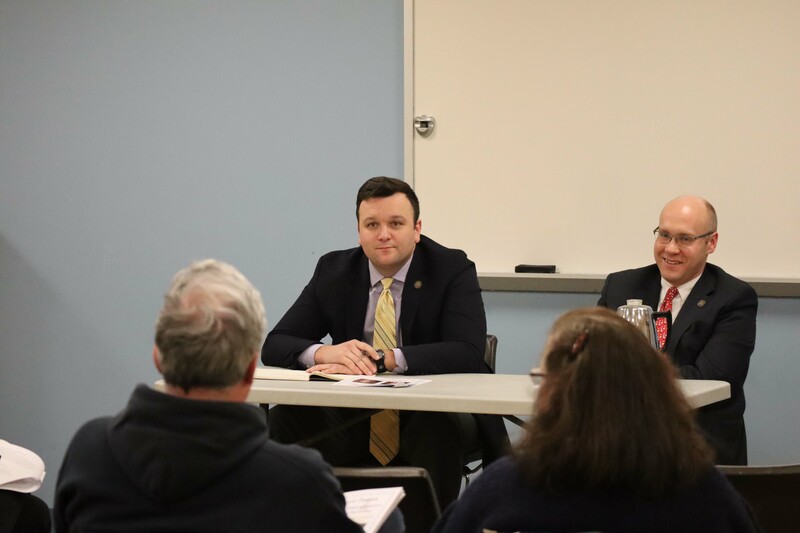 Reps. Carney and MacLachlan encouraged residents to contact them and to follow their frequent updates on their websites and social media accounts, which can be found at RepCarney.com and RepJesseMac.com.